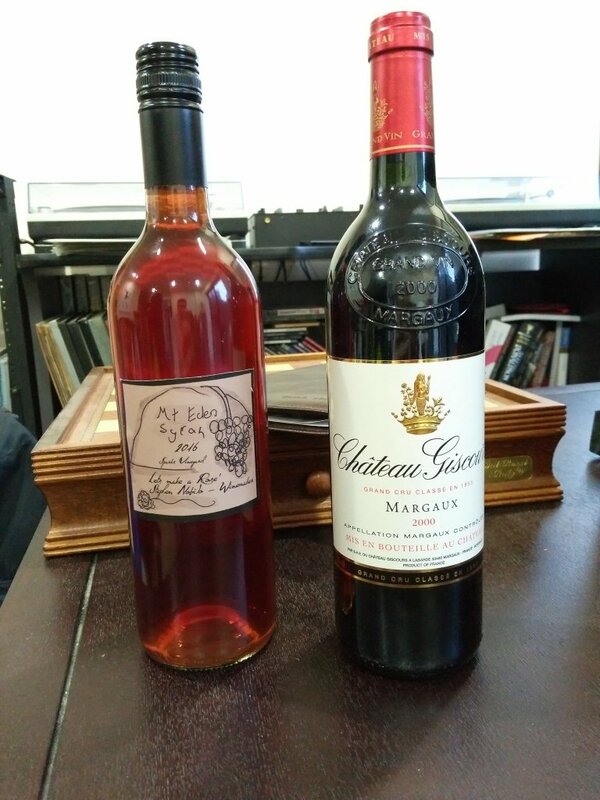 Both of these wines came into my possession this week and they're a bit special. The vintage 2000 Chateau Giscours Margaux is well regarded. $NZ550 a bottle for a left bank third growth seems steep to me, I can't wait to discover if it lives up to its reputation. Even better is the vintage 2016 Sparks Vineyard Syrah Rose, which would have to be one of the rarest wines in the world. I am very fortunate to have been gifted a bottle by my friends Mike and Ange, who have 350 vines under cultivation in the Auckland suburb of Mount Eden.